I would like to increase the number of visitors to my blog, so I thought I would have a contest. I will be giving one person PDF copies of my new Blue Birds of Happiness Doily, and the gift pattern that comes with it, the Rhapsody Rose Doily. I will send the the patterns to the winner as attachments to an email, so I must have a way to get in touch with you if you are the winner. Be sure you leave some way to contact you; Ravelry or Etsy id's or a link back to your blog. If I am not able to contact the winner on Monday morning, I will select another winner. Since the prize will be emailed, this contest is open to everyone, anywhere in the world. What kind of post would you most like to see here in the future? Tutorials? Interviews with designers? Free patterns? More contests? Just let me know. Update, June 20, 2011: This contest is now closed. Please check back often, I will be having new contests in the future! To be honest, I'm not sure what I would like to see more of. Since I am a pattern piggie, I guess more free patterns but I do enjoy reading more of your history and patterns you have made in the past. The contest are always fun too. I know, nothing I have written here will really help in what you are looking for but I just enjoy everything crochet. Bravo , wspaniała serwetka i te fantastyczne ptaszki . I love anything crochet! Inspiring new ideas, history, and a freebie now and then. I like what you are already doing. 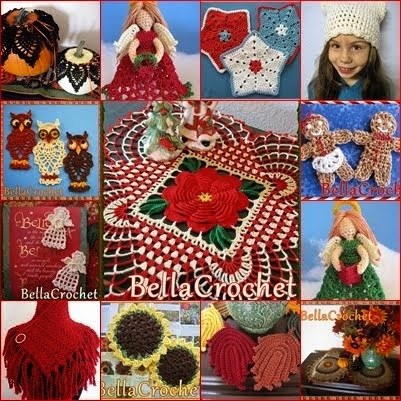 You have a variety going between, history, new patterns, free patterns, etc and of course it's crochet, yea!!! I don't get much time to get into blogger as I am on FB the most so anytime you add your blog link it makes it nice to pop over and see what you have here. You can find me also at NavymomsNook on Etsy. Keep up the great designing. I love to see interviews, techniques , free patterns, more doilies patterns. I want to enjoy anything about crochet and doilies. I follow many blogs inculding yours. OLÁ MIGUXA, ESSE CONCURSO VALE TAMBÉM PARA O BRASIL? Hi Eliza, the pattern is a pdf, an electronic file that will be sent out as an attachment to an email, so yes, I can send it to Brazil or any where else in the world. It is a written pattern in English, with no graphs, but if you win I will gladly send it to you. I just recently found your blog and very much enjoyed all of it. I do love patterns with style and those that are unique and different. Your lady series is beyond compare! Lovely - I am excited to be able to see your new work. I do like contests for the fun of it and maybe to win too! It's always great to have tutorials, and what crocheter doesn't LOVE to have free patterns! Thanks for the chance to win these great patterns! I'm not going to be much help as I like your blog just as it is. It's very well balanced. Thanks for the giveaway. I've never made a doily... that was my mom, Nan, & Granny's thing... so if the planets allign and my name is pulled... I suppose I might have to make one! haha... great contest idea! you do beautiful work! I'm a fan of patterns and tutorials, but just seeing what other people create is awesome enough and a great inspiration! I also like detailed book-reviews (about crochet of course). It's always interesting to hear where others get their ideas from! I would love to see interviews with designers - or really with almost anyone in the crochet community! I like to see what everyone is making..I enjoy free patterns too, but don't always download them. I enjoy doilies, afghans, and just about anything to do with crocheting. Personally I crochet with thread, doilies etc..and enjoy seeing and reading those blogs the most. Even though i have a lot of patterns I'm always looking for more and i quite like yours (although I haven't bought any yet). I would like to know more of your opinions about everyday things, not necessarily crochet. I found your blog through crochet concupiscience (sp?) and how lucky am I that you're having a contest! The doilies are lovely. I'd love to see tutorials on pretty much anything. I'm new to crochet and I'm a bit intimidated by thread & steel hooks so I'd appreciate whatever you choose to share. Ann, I love your blog the way it is, a little of this, a little of that and it all revolves around crochet. Would love to see more free patterns and of course more contests as well ! Thank you for all you already share. Hello! I love your blog just the way it is. There is always something intesting to read about. I think you are a terrific designer. I have many of your patterns and enjoy making the "3-D" doilies. The pineapple heart with the butterfly and the roses is one of my all time favorites. Thanks for sharing your great talent! I can be contacted at colemanms@earthlink.net or at SouthernBelleCrochet on etsy. I love everything. But I especially love free patterns and tutorials, as they inspire me to practice more. Love the patterns and seeing your work, I enjoy reading your blog. i liked all your pattern specially the blue bird, its awesome. I will be posting your link to india crochet group. Hi! As a fellow designer, I had to stop and tell you, your designs are AMAZING!! Your Bluebird of Happiness blew me away... afraid I'll have to pick that one up!! Thanks so much for sharing your beautiful gift with the world!